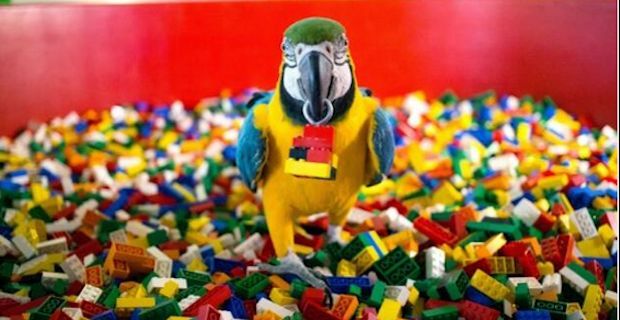 Lego have signed up a parrot named Charlie to be the new face of Legoland Windsor Resort. Charlie was chosen from a number of UK birds who were all in the running for an ambassador role for an all new pirate play area. Charlie, who is 32 years old and from North Yorkshire, will be responsible for attracting visitors to the pirate-themed Castaway Camp giving it an authentic pirate feel the moment you arrive at the door. The competition for the position was fierce with Charlie coming up against 3 other UK parrots. The birds were all put through their paces and had to complete a number of tasks to see if they had what it takes to represent Legoland. Charlies owner Peter Bloom was over the moon and was in no doubt as to the reason Legoland chose Charlie. He believes that a neat trick where Charlie rolls onto his back and plays dead caught the judges eyes. Lego continues to grow it's fan base and the staying power demonstrated by the Danish company is pretty phenomenal. Legoland UK is the second most visited theme park in the UK and with Charlie on board they just might make it to number 1!